Of all the inane arguments made against the phenomenon of anthropogenic global climate change, the strangest – in my opinion – are the conspiracy theories. Yes, scientific fraud does happen, but on the scale of one author, not an entire multi-disciplinary field stretching back for over a century. Imagine the scale of fabrication that would be necessary for this to be true, and the amount of journal editors, expert reviewers, and students who would have to be in on the conspiracy. Scientists are just not that organized. And for what reason would they do this? Yes, there’s the old Communist-overthrow-of-the-world argument that Fox News pundits argue would somehow result from using capitalist market strategies to put a price on carbon…but many scientists who fully accept the reality of climate change are self-proclaimed Independents and Republicans. Even if they don’t claim out-and-out fraud, many politicians, journalists, and citizens believe that scientists’ conclusions on climate change are influenced by the lure of grant money. This position shows a fundamental misunderstanding of the way scientific grants work. As Dr. Andrew Weaver, top Canadian climatologist, argued in his fantastic book Keeping Our Cool: Canada in a Warming World, if scientists were purely interested in grant money, it would be more beneficial for them to claim uncertainty in their work. Research dollars give preference to areas of science that remain fundamentally mysterious, not those that are just ironing out the details of well-understood basic processes. Additionally, as meteorology professor Scott Mandia recently showed, the grants that scientists receive for their research don’t actually influence their salaries. Incredibly, even the Intergovernmental Panel on Climate Change (IPCC) – a highly credible organization that painstakingly summarizes the scientific literature on climate change – is comprised of volunteer scientists. Even the chair, Rajendra Pachauri, doesn’t receive a cent for his work with the IPCC. Of course, the prospect of a global warming fraud isn’t impossible. Nothing is. But remember, fraud is a criminal charge, and should not be thrown around lightly. Climate scientists, just like anyone else, have the right to be presumed innocent until proven guilty. They shouldn’t have to endure this endless harassment of being publicly labelled as frauds without evidence. It is of course, the global warming scam, with the (literally) trillions of dollars driving it, that has corrupted so many scientists, and has carried APS before it like a rogue wave. It is the greatest and most successful pseudoscientific fraud I have seen in my long life as a physicist. Anyone who has the faintest doubt that this is so should force himself to read the ClimateGate documents, which lay it bare…I don’t believe that any real physicist, nay scientist, can read that stuff without revulsion. I would almost make that revulsion a definition of the word scientist. The scientists involved in ClimateGate, the scandal that wasn’t, have been cleared by five independent investigations to date. While some reasonable issues about data archival and sharing have been raised, absolutely no science was compromised by the contents of the stolen private correspondence. For Lewis to say otherwise and fail to provide evidence for this potentially libelous accusation is unduly irresponsible. I disagree that the definition of scientist is “someone who feels revulsion and jumps to the conclusion of fraud from emails that show, at most, that climate scientists are not always very nice”. On the contrary, I would expect that a scientist would assess media coverage of these emails with a critical eye, examine the context in which they were written, and read the published work of the scientists in question – many of the so-called damning phrases (“hide the decline”, “lack of warming at the moment”) had already been discussed at length in the literature (Briffa et al 1997 and Trenberth et al 2009 respectively). On a side note, where did he get “literally trillions of dollars” from? The world GDP, according to the World Bank, is approximately $61 trillion. It seems staggering to imagine that a minimum of 3% of the world economy is devoted to climate change research alone. In the interim the ClimateGate scandal broke into the news, and the machinations of the principal alarmists were revealed to the world. It was a fraud on a scale I have never seen, and I lack the words to describe its enormity. Effect on the APS position: none. None at all. And rightly so. Even if, for the sake of argument, the CRU emails had discredited all of the research group’s data and publications, their conclusions about the current planetary warming have been independently replicated by multiple land- and satellite- based databases. In the United States alone, there is NASA GISS, NOAA NCDC, RSS, and UAH. All show the same global warming that CRU detected. Some, due to complexities in the measurement of Arctic temperatures, show even more. The scientific literature fully supports the general premise of the APS statement on climate change: the world is warming, humans are causing it, and unless we reduce carbon emissions quickly and dramatically, it’s going to be bad. No alternative explanation for the situation has been able to withstand the scrutiny of peer-review. Science is about looking at all sides of an issue, but it’s not a free-for-all. If someone can’t back up a claim, they don’t have an inherent right to get it published regardless. Unfortunately, in the Internet age, that doesn’t matter – if what they’re looking for is media attention, not scientific accountability. There’s a difference between “lacking the words to describe the enormity” of a so-called fraud, and lacking the evidence to support such an accusation. As scientists (and prospective scientists, such as myself! ), we need to be critical in our assessment of all claims – including the claims of critics and contrarians. Being objective isn’t always the same as being neutral. This article of mine was published in the newsletter of Sisters of Our Lady of the Missions, a Catholic group that is doing a great deal of work in sustainability issues. Enjoy! The mainstream media portrays the existence of human-caused climate change as a much fiercer scientific debate than it actually is. Scientists are still working out the details of how much warming we can expect, how it will be distributed, and what the consequences will be. However, the “big questions” have very solid answers. 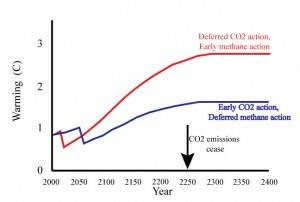 The idea that emissions of carbon dioxide from human activities would eventually warm the planet was first proposed in 1896, and since then, agreement on the issue has grown to a staggering level: 97.6% of publishing climatologists, 100% of studies in scientific journals, and every scientific organization in the world now agree that humans are changing the climate. Compare this to the media coverage of climate change. The majority of articles in respected newspapers like The New York Times or The Wall Street Journal give roughly equal time to the “two sides” of the so-called “scientific debate”. Balance in journalism is all very well when the issue is one of political or social nature, but for matters of science, giving fringe opinions the same weight as a robust consensus is misleading. Being objective is not always the same as being neutral. Over the past year, climate change reporting has taken a disturbing turn, as attacks on the integrity of individual scientists have been spread by nearly every media outlet in the developed world. Private correspondence taken out of context (in which the scientists involved have subsequently been cleared of any wrongdoing, by five independent investigations) as well as minor referencing errors in a scientific report (the worst of which gave the wrong date for when a specific glacier was expected to melt) led to widespread accusations of fraud and conspiracy by advocacy groups opposed to climate change action. Rather than investigate these potentially libellous claims, the media repeated them. As a result, many scientists have received death threats, and countless others have been subject to hate mail. One scientist in particular has had a dead animal dumped on his doorstep, and now travels with a bodyguard. Although their scientific reputations have not been damaged, the personal lives of these innocent men and women have been forever altered. As the popular press reinforces myths and misconceptions about climate change, public understanding of the issue has fallen apart. Only 61% of American adults think that the Earth is warming, and only 50% think that it is caused by human activity (up-to-date Canadian statistics are not available). Most worryingly, only 34% are aware that most scientists think climate change is happening. A vast chasm has opened between scientific and public understanding of climate change, and powerful forces are at work to keep it open. As we live in a democracy, action on climate change will only happen when voters demand it – and they won’t demand a solution if they don’t understand the problem. The best thing that you and I can do to stop climate change is to spread around accurate information. Scientific reports are often too technical for easy understanding, but major journals, such as Nature, often have a news section where they summarize new studies for the public. Many scientists are also stepping up to the challenge of climate change communication, and casting light on common misconceptions. A website called Skeptical Science is one of the best sources. There are many people working to fix this problem, but we need many more. Slowly but surely, the tide will turn. I’m sick of all the politics surrounding climate science. I wish it could go back to just being science, the way it was in the 1970s, without all these people trying to sabotage it for us. I wish we could concentrate on the joy and fascination we feel when we learn about the climate system, without having to deal with hate mail and quotes taken out of context. I’m tired of the game of Broken Telephone in science journalism, the game that somehow always allows Fox News to make claims like “melting Arctic sea ice isn’t caused by warming temperatures”. I’m tired of the outright falsehoods that are permitted to circulate around the world, in respected publications, without consequences. I’m tired of unnecessary investigations into the integrity of climatology researchers and organizations. I’m tired of the accusations of “whitewash” when these investigations invariably come up clear. I’m tired of scientists being portrayed as frauds if they don’t achieve a 100% success rate in their projections. I’m tired of the politicians that attempt to subject innocent scientists to criminal prosecution. They’re so unwilling to accept the reality of anthropogenic global climate change that they think scientific fraud on an unprecedented scale is more likely than well-established properties of physics playing out as expected. It frightens and astounds me that people with such an upside-down understanding of the scientific process hold immense power in the American government. I first became interested in climate science because of the science, not because of all the politics surrounding it. The earliest thing I can remember sparking my interest is learning about the different isotopes of oxygen, and how they can be used to reconstruct temperature. These days, however, it’s nearly impossible to learn about climate science without running into silly arguments and widespread misconceptions and stubborn denialism. I started writing this blog so that I would have an outlet to keep myself sane as I waded through all the muddle. As time went on, an element of public education developed, along with priceless learning opportunities and collaboration. This blog has grown to so much more than I ever anticipated. I don’t really have the heart to read Naomi Oreskes’ new book quite yet, or to re-read Climate Cover-Up, or to scroll down to the comment section when CBC publishes online articles about climate change. I know what a dire situation we are in, not only ecologically and climatologically, but also socially – in terms of public understanding and science communication. I know what a mess we’re in, and I don’t need reminding. I don’t know how we’re going to get out of the mess, but I try to do my part by continuing to pour my sociological musings into this sanity-inducing and morale-raising outlet. I just want to work my way through David Archer’s book, Global Warming: Understanding the Forecast, and learn how to use all the atmospheric science equations within it. I want to download papers from Nature and Science and read them on the bus. I want to keep a close eye on the “Advanced” versions of Skeptical Science rebuttals, because isn’t it just amazing that we have a simple logarithmic equation for the relationship between radiative forcing and atmospheric CO2 concentration? Many people might find it strange that I see straight science as a break, some sort of retreat from that which is more difficult to stomach. But then, we’re in a strange situation here.